It is said that parents can spend upwards of $700 per child during “Back to School” season every single year. Between new clothes, accessories, and school supplies, it can be enough to break the bank! If you’re getting your kids ready to head back to class, why not think outside the big box store? Set a budget, get creative, and shop smart! Setting a realistic budget for each child isn’t only going to keep you from racking up the credit cards, but it will save you stress and aggravation in the long run. If you can’t spare $700 for each kid, then spend only what you can. This doesn’t necessarily mean you will be shopping for shirts at the dollar store. Does last year’s backpack still have some mileage in it? Kids may not be happy to reuse it, but what if you change it up? Add a patch or embellishment to it, buy inexpensive accessories to hang from it; anything that can add a new flare to it can make it feel different. This will also work with lunch boxes, pencil cases, jackets that may still fit, and so much more! Host a Supply Swap! Invite a few of your kid’s closest friends over for an afternoon of milk and cookies and have each bring a couple of last year’s school supplies that are still in great shape. They can trade them for other cool ‘new’ supplies that will work great and are new to them! 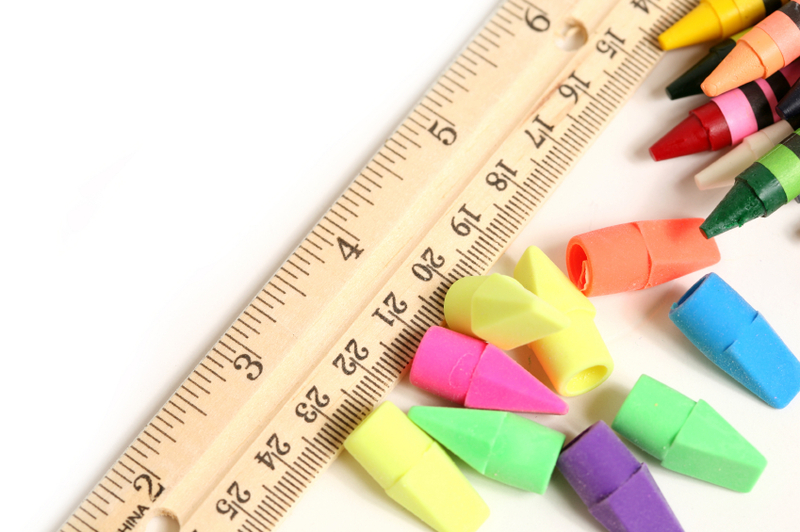 Think: pencils and pens, rulers, calculators, crayons and markers, erasers, and more! Shop throughout the year: If you are able to spread your Back to School shopping budget out throughout the year, you can save big! Keep an eye out all year long for deals. Is there a 2 for 1 sale going on? Get one for this year, and get a size larger for next year. Is the office supply store having a clearance sale on reams of paper, ink cartridges, or pens? Stock up for next year! You get the picture, plan ahead and stretch that budget! Don’t be afraid to shop second hand: Thrift stores and garage sales are great for getting brand names for next to nothing. At your local Goodwill, shop on Friday mornings whenever possible. 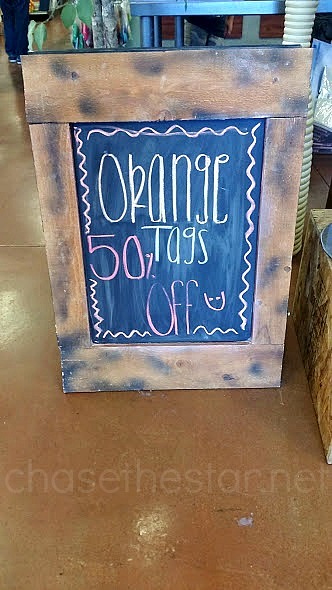 They choose a ‘color of the week’ every Friday and slash 50% off of items tagged in said color. Translation: you score! Shop online: Dig through Amazon listings and shop your favorite stores online. Many major retailers run their online stores as a separate entity, resulting in items going on sale at different times than at their brick and mortar stores. Look around, compare prices and take note of those offering free shipping. If you can wait a few days to receive your item, you are in for deep savings! Shop sales early in the summer: stores are always a season ahead. They have their fall merchandise out by July, and they are also trying to push out their summer items. All of this means big savings for you. Take advantage of those summer coupons and blow out sales to purchase Back to School clothes and shoes for the fall. Consider the weather in your area: Many kids start school in August these days, and as far as I know, it’s still summer! With the temps still blazing hot, your kids will probably not be wearing the jeans and sweaters you bought for back to school for a couple of months. To my earlier point, stores are a full season ahead- now is the time to snag the t-shirts, shorts, and other warm weather items at rock bottom prices. Help the stores clear their shelves for fall and winter, and get your kids Back-to-School clothes they can enjoy for the first couple months of the school year. 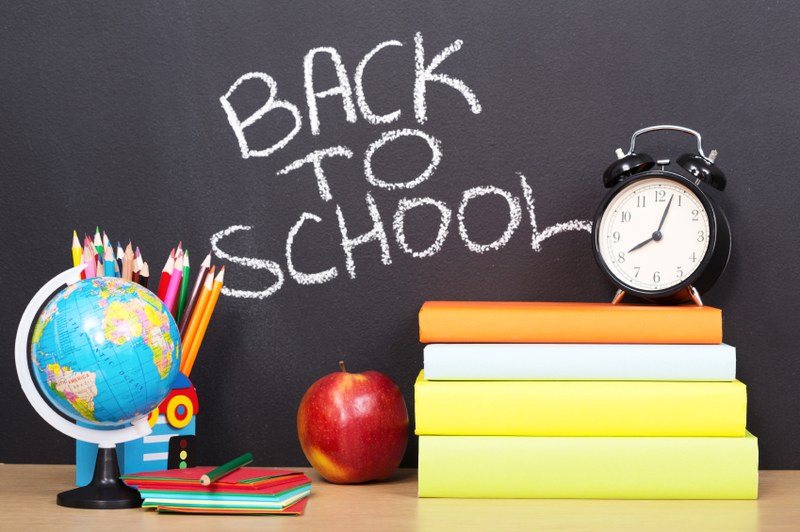 With a little legwork and lots of imagination, you can save big for Back to School! What are you doing to plan for the upcoming school year?